Luton Town have completed the signing of defender Lewis Emanuel on a free transfer from Bradford City. The left-back signed a two-year contract after impressing manager Mike Newell on his trial period. 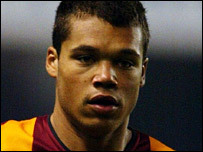 The 22-year-old made more than 100 appearances for the Bantams since making his debut in the 2001/02 season. Emanuel, who can also play on the left of midfield, was released by Bradford after turning down an offer of a new contract at Valley Parade.